4074. Philadelphia, Pa. Aug. 22. 23-year-old woman injured when struck by an older-model grey or silver Oldsmobile which fled the scene. 4075. Landover, Md. Aug. 22. Woman killed when struck by a gold SUV which fled the scene. 4076. Hatboro, Pa. Aug. 22. 15-year-old boy on bicycle injured when struck by a red sedan which fled the scene. 4077-78. Atlanta, Ga. Aug. 23. Two women seriously injured when struck by a stolen rental car from which the driver fled the scene. 4079. Garden City, Idaho. Aug. 24. 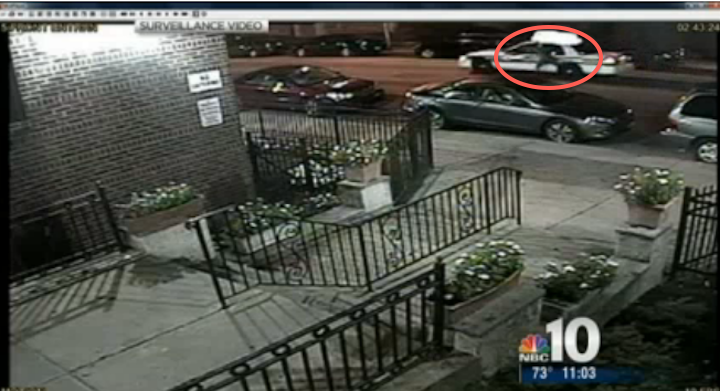 25-year-old man critically injured when struck by a dark SUV which fled the scene. 4080. Hattiesburg, Miss. Aug. 22. 64-year-old man fatally struck by a white Ford F-250 which fled the scene. 4081. Philadelphia, Pa. Aug. 25. 23-year-old woman critically injured when struck by a taxi which fled the scene. 4082. Lake City, Fla. Aug. 25. Woman injured when struck by a red Jeep Grand Cherokee which fled the scene but was later found, driver arrested. 4083. Youngstown, Ohio. Aug. 22. 53-year-old woman fatally struck by a medium blue 1998-2005 Pontiac Grand Am which fled the scene. 4084. Reseda, Cal. Aug. 26. 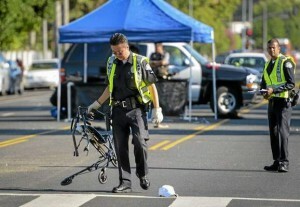 Elderly man in a wheelchair fatally struck by a black two-door Nissan 360ZX which fled the scene. 4085. Columbus, Ohio. Aug. 24. Police officer struck by an unidentified vehicle which fled the scene. 4086. Madison, Wisc. Aug. 27. Construction worker suffers non-life-threatening injuries when struck by a stolen vehicle which fled the scene. 4087. Santa Ana, Cal. Aug. 27. 85-year-old man killed when struck by a vehicle which fled the scene; driver later surrenders. 4088. Westtown, NY. Aug. 27. 86-year-old man fatally struck by a small gray or silver SUV, possibly a 2006 or 2007 Subaru Tribeca, which fled the scene. 4089. Milpitas, Cal. Aug. 10. 52-year-old man injured when struck by a maroon SUV which fled the scene. 4090-91. Fort Worth, Texas. Aug. 28. 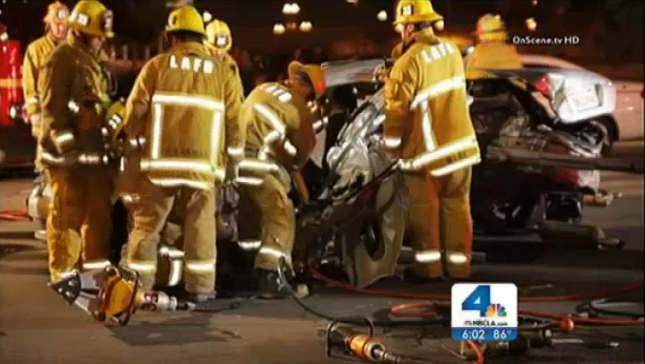 Two pedestrians injured when struck by an older model Cadillac which fled the scene. 4093. Neptune Twp., NJ. Aug. 28. 27-year-old man fatally struck by a 2005 to 2010 Dodge Durango which fled the scene. 4094. High Point, NC. Aug. 27. 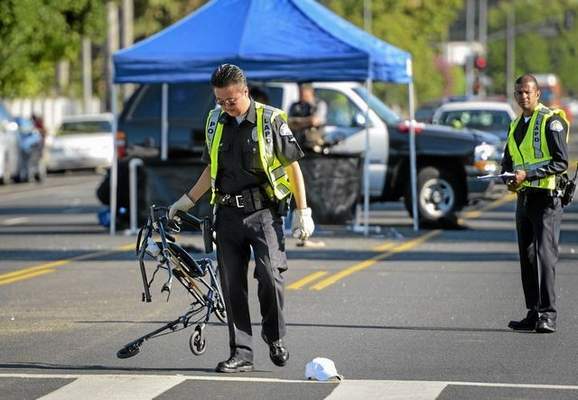 47-year-old man on bicycle injured when struck by a dark-colored car which fled the scene. 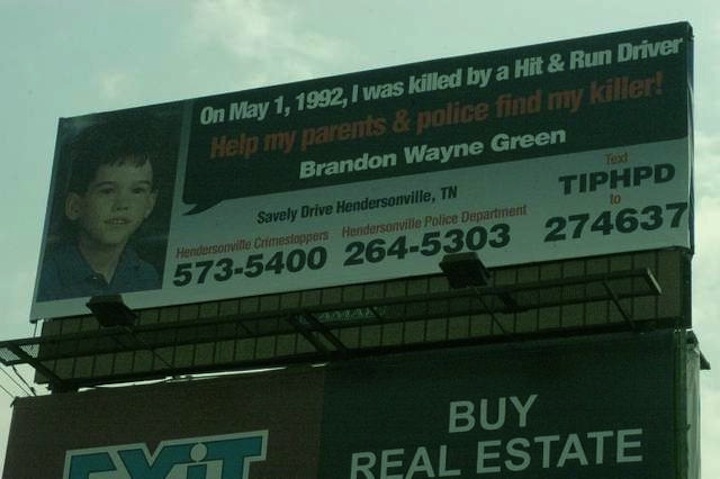 Eight-year-old Brandon Green was playing on the edge of Savely Drive in Hendersonville on May 1, 1992, when he was hit by a car whose driver left the scene. The second-grade student at Gene Brown Elementary died the next day at Vanderbilt University Medical Center in Nashville. Two decades later, Hendersonville police have reopened the case and hope to solve the crime with the public’s help. “We’re just trying to develop something that will give this family closure,” said Hendersonville Police Department Detective Sgt. Denney Coarsey. ATWATER — Atwater police said they are looking for a man suspected of crashing a stolen car he was driving into one used by his girlfriend, which police said was also stolen, according to Cpl. William Novetzke. Fort Wayne police have a man they would like to interview about Monday’s hit-and-run crash that has been ruled a homicide. On Friday, police asked for the public’s help in finding Jacinto A. Barrios, 31. They called him a “suspect wanted for questioning” in the death of Marco Antonio Vinas-Herran but declined to elaborate on what that meant. Barrios has not been charged with a crime in this case. OREM — A Pleasant Grove man has been booked into jail after 22-year-old Ashlee Zimmer was killed in a hit-and-run accident early Sunday morning while sitting on the curb across from her home. Two pedestrians struck by a car in central Kansas City Monday afternoon may have been trying to carjack the vehicle before they were struck, police said. PHOENIX — The driver accused of stealing a car and hitting two pedestrians in a parking lot told police he drank about 30 beers in the hours leading up to the incident. According to court documents, 25-year-old Guadalupe Castaneda stole a 2010 Dodge Charger early Sunday morning in the parking lot of Bukkanas Bar at 17th Avenue and Camelback Road. Inside the vehicle, detectives found that the speedometer was still stuck between 90 and 95 mph, Padilla said. The speed limit there was 35 mph. Detectives also found open beer containers and an unopened liquor bottle, Padilla said. Caught, convicted, court appearance or car-on-car in … Santa Ana, Cal. ; Long Beach, Cal. ; Sumter, SC; Vallejo, Cal. ; Tempe, Az. ; Lincoln, Neb. ; Abington, Pa.; Columbus, Ohio; Bakersfield, Cal..